My husband has introduced me to a new thing online called Twitter and I love it! It is so neat you basically have 140 characters to mini blog, or tell about what you are doing right now, or just comment. You should check it out. I love twitter!!!!!! This entry was posted in Announcements and tagged Twitter. I love halloween!!!!! My son dressed up as the Hulk! and my daughter Brinley was a Penguin. She is only 7 months old so it was kind of a baby in a bag type thing but it was fun. We had alot of fun there and ended up with over 130 lbs. 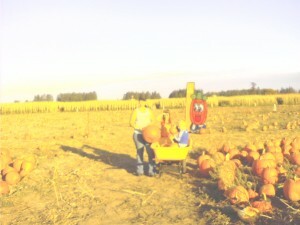 of Pumpkins between our family and my friend Lori and her daughter Ana. 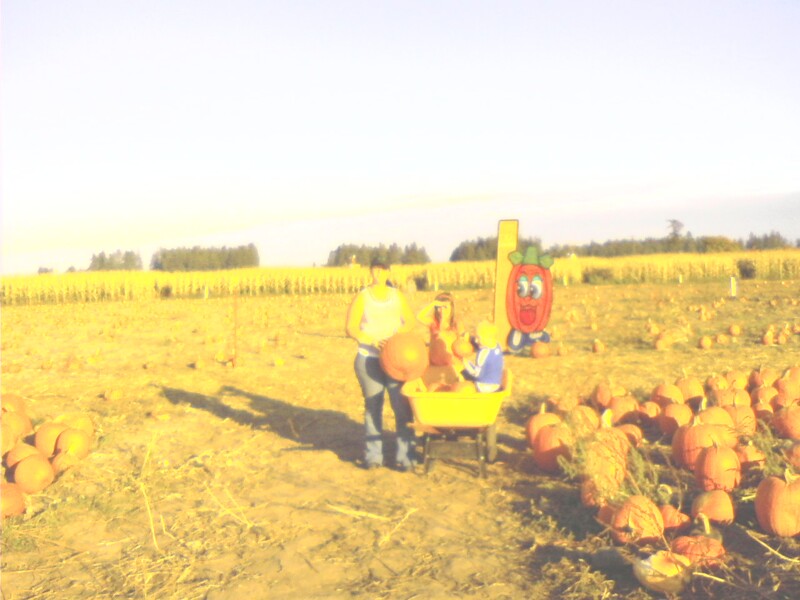 There was a petting zoo, pony rides, a corn maze and a hay ride. It was a good way to kill an afternoon. I will have to get the pictures of the kids on their halloween costumes after while. Have a good one!!!! This entry was posted in Announcements and tagged 4 year old boy, 7 month old baby, Add new tag, corn maze, costumes, ez orchards, halloween, hay ride, hulk, penguin, petting zoo, pony rides, pumpkins. I am so excited that I am able to go back to work. I am sure those of you that have no desire to work or don’t have to so that you can stay home with you kids are thinking that I am just horrible. But I get so stir crazy being home with my chitlins. Don’t get me wrong I love them, I really do, they just drive me insane. I have been so accustomed to working my whole life even after my other two were born that for me to have been home as long as I have been was excruciating. There are days when I wish that I could just stay home and be with my kids so that I know everything about them and their day. But for us we need both incomes so I am hoping that with me back to work that it will relieve some of our household stress. I am working for a construction restoration company in Stayton ,Oregon. I love it. My boss is great. He is a really nice guy that is really laid back, which is perfect for me. I can’t stand to be micromanaged. Don’t get me wrong he is there when I need him or have a question but for the most part he lets me do my thing. The hours are flexible for my kids (which is an absolute necessity) and the pay is not too bad. The only thing that I really don’t like about it is that I have to drive about 20 miles to get to work. Well gotta go, Brinley is complaining and I am headed out the door to work. Have a good one. This entry was posted in Announcements, Uncategorized and tagged flexible hours, work after baby.